Alitalia now released brand new discount code which can save you a lot of money from your next journey. To get huge 20% discount from your Alitali ticket just click on the button below and use the displayed discount code during booking. The 20% discount is applied to the entire price of the ticket (taxes and fees included) on flights operated by Alitalia in class Classica – Economy. 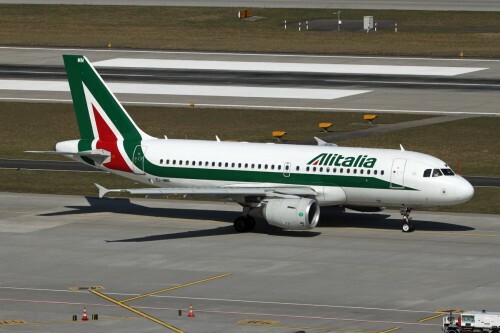 This Alitalia promo code is valid for flights in Italy, Europe and North Africa with the exception of links to France and the Netherlands, the intercontinental flights and flights to/from Rome and Cagliari, Cagliari and Milan Linate, Milan Linate airport and Alghero. There is no minimum purchase for this Alitalia discount code. This coupon code is valid until 16th May 2016 (included), to fly from 05/06/16 until 30/10/16 (the last date of return). Enjoy your discounted Alitalia flight! « MEGA HIT! Crazy cheap return flights to Cuba: Havana for €90!